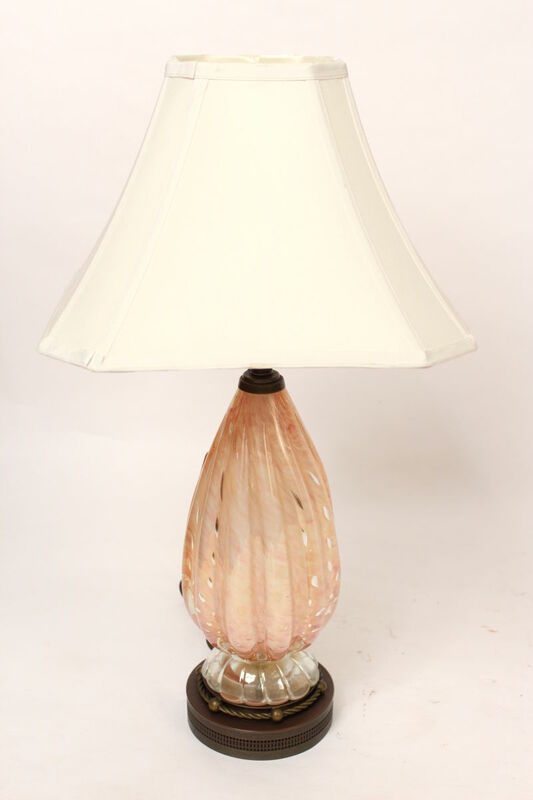 Mid 20th century Murano glass lamp with a bronze base. Height to beginning of electrical fittings 15.75″. Height to top of shade 28″. Diameter of base 6.5″.